In order to maintain an installed software application on different hardware and operating environments, it is sometimes necessary to perform update actions based on the conditions at the local site or system. 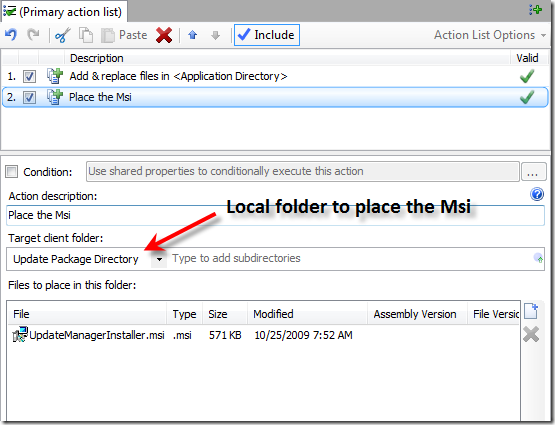 An example of this is when your application uses both 64 bit and 32 bit assemblies. Your installer places the appropriate assembly during initial installation, but in order to maintain that installation during updates we might need to take different action based on the local architecture. 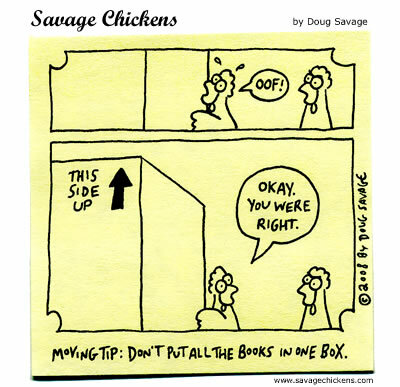 Another example might be maintaining different configurations, such as a Dev, QA, or Production installations. We might want to place debug symbols on a dev update, but not in production. Or we might set specific configuration settings differently, based on the environment. 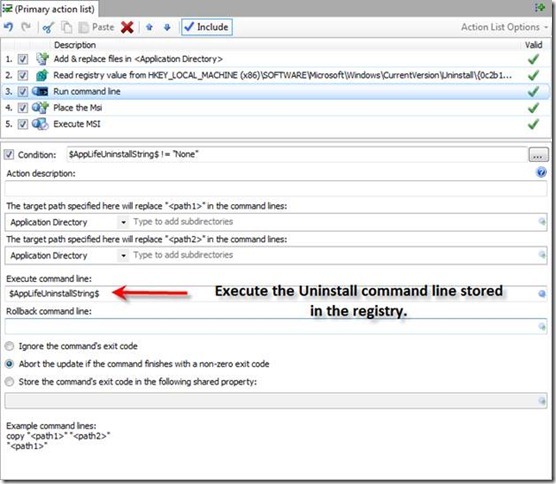 With AppLife Update, we can use information from the local installation to conditionally control the actions taken during the application update. We accomplish this by defining and setting Shared Properties based on the local system information and then using those Shared Properties to conditionally execute update actions. 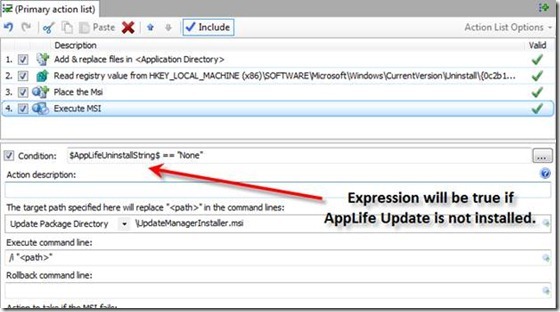 The AppLife Update engine execution context hosts a collection of name/value pairs, and this collection is named the Shared Properties collection. 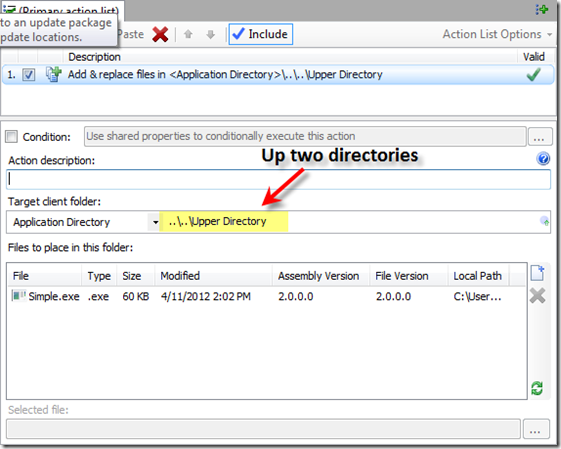 Shared Properties can be accessed by any Update Action in the update action list, hence the name Shared Properties. Shared Properties can be defined and set in a many different ways. 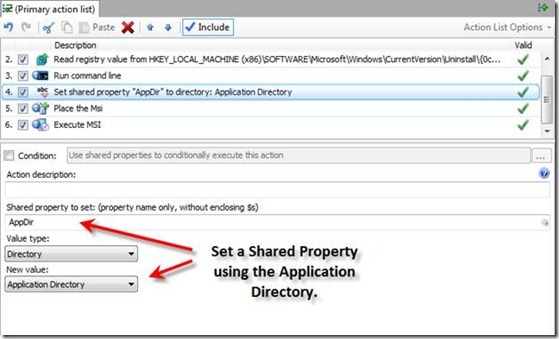 The initial collection of shared properties can be passed into the update context from the host application. 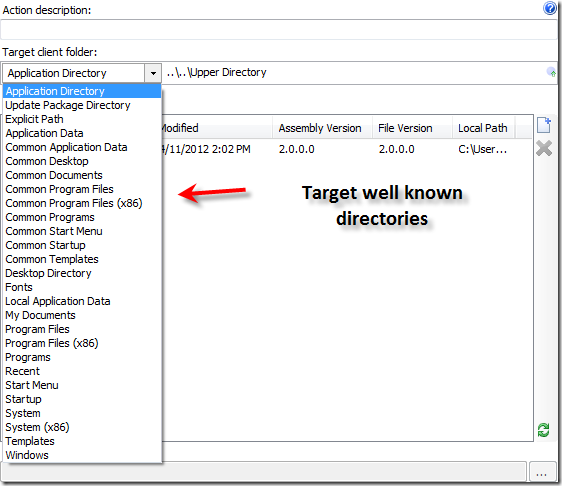 The ApplyUpdate method of the Update Controller has an overload that takes an IDictionary object of string values. The contents of this object are used to populate the collection of Shared Properties. 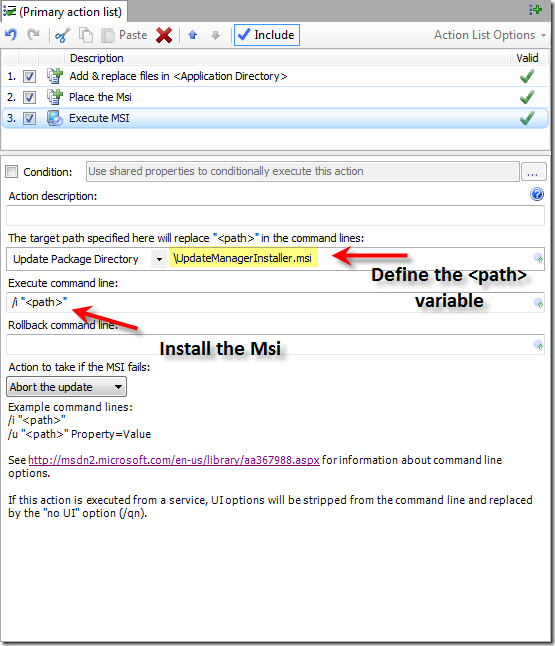 If you are using the built-in user experience controls, your code doesn’t call the ApplyUpdatemethod directly. 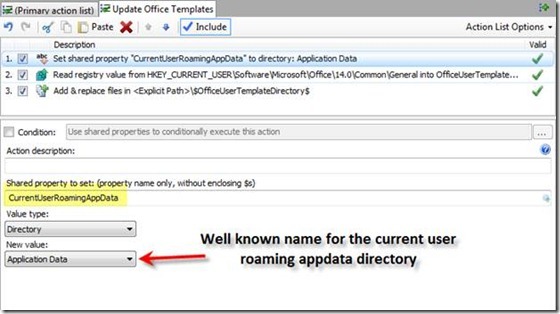 All of the user experience controls have a property called InitialSharedProperties that can be used to add values to prior to applying an update. 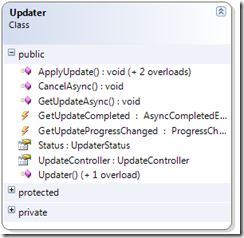 Many of the built-in update actions that read information can set shared properties. 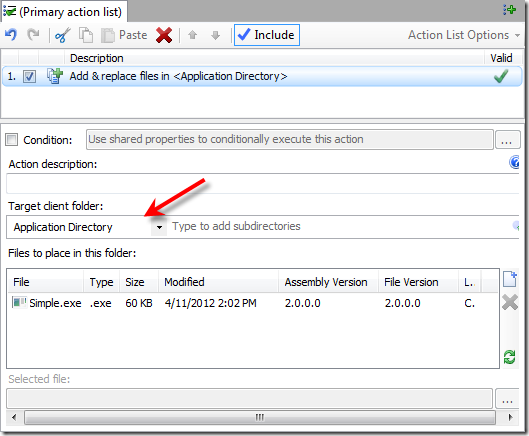 The Database actions can read query results into a shared property. 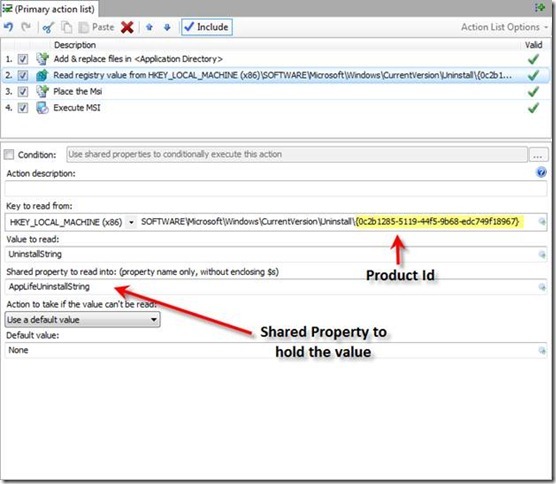 The Read Registry Value action, Read Xml Node action, and the Set Shared Property action can all set shared property values. 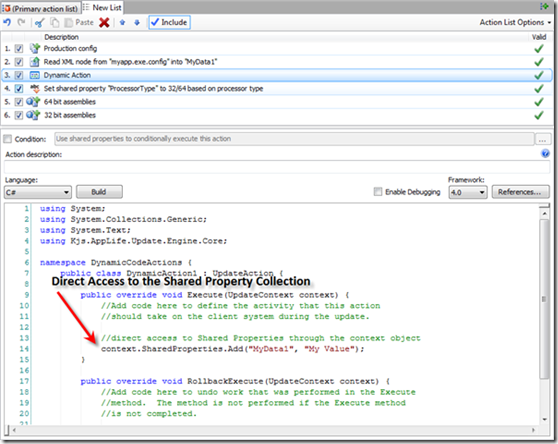 Custom actions, most easily created using the C#/VB.Net dynamic code action, can access the Shared Properties collection directly through the context parameter. 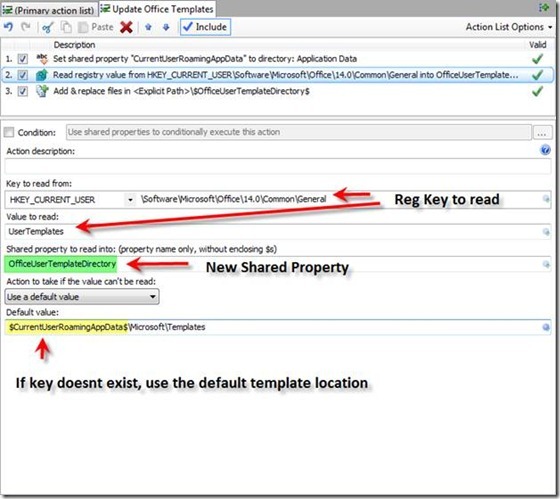 It’s worth noting that while most of the actions read and write string values to the Shared Properties collection, custom actions can set and access any object data. Say we want to replace 64 bit or 32 bit assemblies, depending on the architecture of the system being updated. To accomplish this, we’ll add two Add & Replace files actions to our update action list, and then conditionally execute each action based on the value of a Shared Property. We can define the Shared Property with a Set Shared Property action. 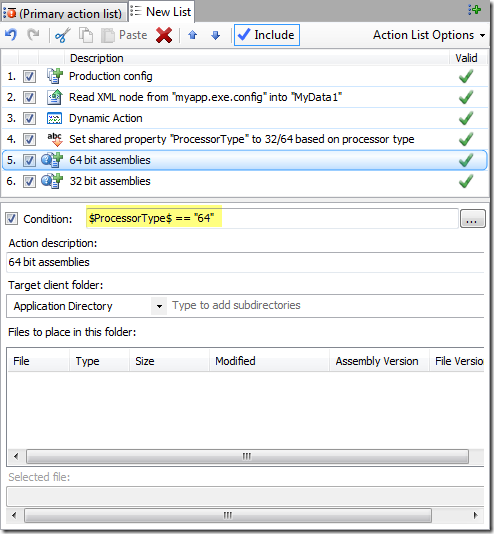 Processor type is one of the values that are available to set using this action. We’ll name the Shared Property ProcessorType. After the action executes, the Shared Property named ProcessorType will contain a value of either 32 or 64, based on the current processor architecture. 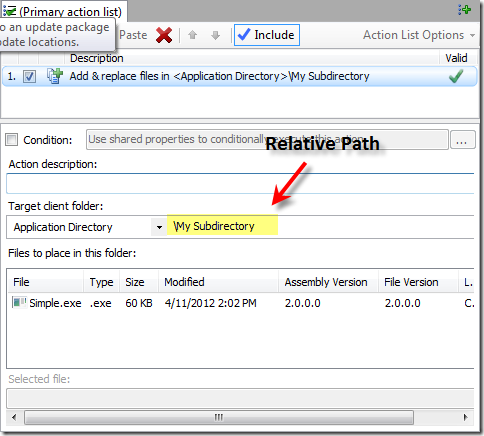 We can now use this value in the Conditional Statement of the two file actions. 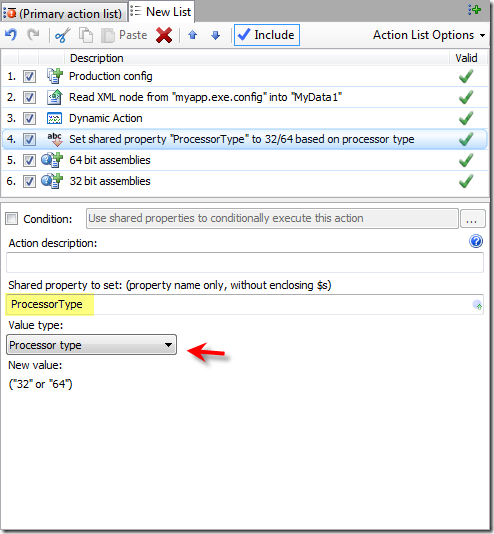 This action will only be executed if the value of the ProcessorType Shared Property is “64”. The conditional for the 32 bit assemblies is obviously “32”. 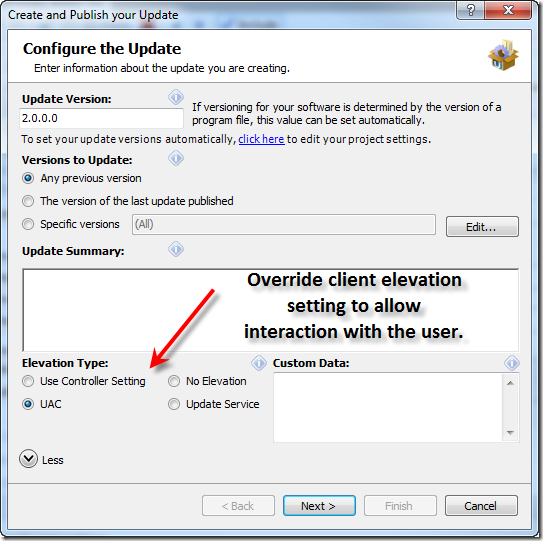 By using a Shared Property and conditional statements, we can use local system information to control the execution of the update.